Grace Reformed Baptist Church is a new church, having been established in March 2015. It is not however the first time that Hilperton has had a Baptist church in the village. In the late 1790s, the Baptist church at Back Street in Trowbridge was led by Mr Nathaniel Rawlings. 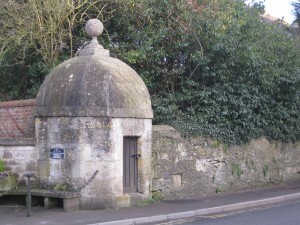 He would regularly send members of their church to preach in the lanes of Hilperton. This work was blessed by God, and it led to a number of people in the village being converted. A couple of these were baptised in 1797 and 1798. These people, along with others from Back Street Baptist Church formed a new church at Hilperton in 1806, and a chapel was built in May of that year. The work continued to prosper. 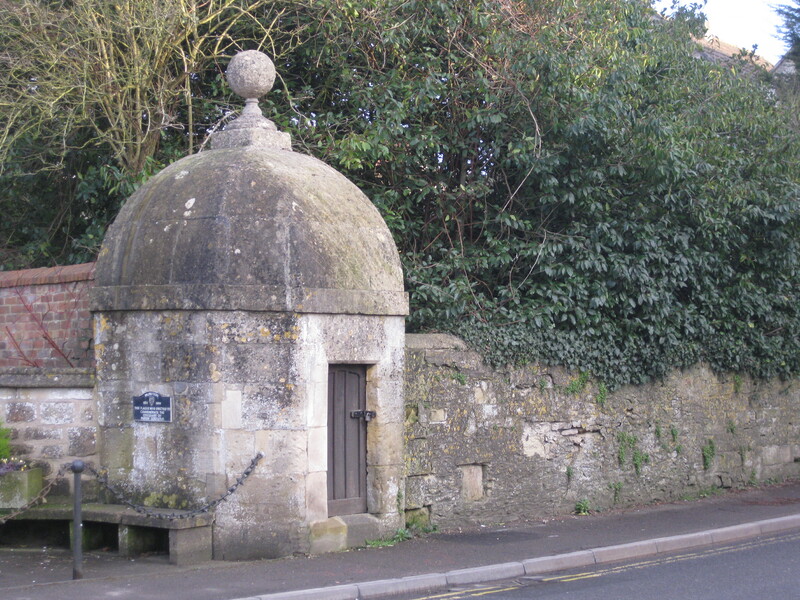 On a Sunday in 1807, seven people were baptised at Hilperton in the canal, which was known then as New River. On another Sunday in the following year, a further eight people were baptised. In August 1808, the church issued a call to a carpenter called Mr John Dymott, who had preached for the church once a month initially, but who had led the services even more frequently through 1807. After a long period of deliberation, he commenced his work as pastor in November 1810. His ministry was blessed with many people coming to know Jesus Christ as their Saviour. Five people were baptised in 1811, eleven in 1813 and five more in 1814. One of the first members was Henry Rawlings, probably some relative of the late pastor of Back Street Baptist Church. This highlighted the close relationship between the two churches, with the Hilperton church being considered as a natural offshoot of the Trowbridge church. It also had close connections with Zion Baptist Church, a church which formed after a theological division at Back Street Baptist. In 1815, John Warburton became the minister at Zion Baptist Church. Within a few months, he had baptised fourteen people at Hilperton for Mr Dymott, having baptised twelve of his own people the week before. There were nine baptisms in 1822, seven more in 1823, and a further eight in 1826. By 1829, the church membership had grown to fifty nine. Division followed in 1835, when a deacon in the church, James Miles, left the church with others to form a new work in Hilperton Marsh. This work progressed in a cottage, though it did not thrive. Despite these difficulties, the work at Hilperton continued to know God’s blessing with five more people baptised in 1841. An incident of particular note in the ministry of Mr Dymott occurred one night when he was called to visit a dying boy in the village. He had been in attendance at the church services as often as he could, but had opposition at home from his mother. She was a godless woman who had often ill treated him on account of his church attendance. He was pleased to see Mr Dymott and explained that he knew that he had a good hope in Christ. He died triumphantly that night. Mr Dymott immediately spoke of Jesus Christ to his mother. She and some others present were convicted of their sins and were wonderfully converted, later joining the church at Hilperton. Mr Dymott remained as pastor until 1844, when he was unable to continue due to age and ill health. He died in 1848, with his body being buried near the foot of the pulpit stairs. In 1845, a local man, Mr Frederick Pearce started to take the services three times a month and had oversight over the church. Within a short time he became full time pastor of the church, though it was a decade before this was publicly recognised. Between 1844 and 1855, he had the privilege of baptising thirty four people. In 1855, Mr Pearce left to become the minister at the Baptist church in Reading, and then later the Baptist church in Newton Abbot. Mr Lindsey took on the pastorate in 1860, though this continued for only a few months. In 1873, Mr Pearce became the pastor for a second time, and led the church for a further five years. In that time, ten more people were baptised. By that time however, the church membership had dropped to forty five. Mr Westlake was the minister from 1879 to 1883 before stepping down because of age and infirmity. In 1888, Mr William West became pastor, though by this time the congregation had become smaller. It is not known when Mr West left, but in 1896 Mr John Andrews was the minister. The church nevertheless maintained good attendances in the first part of the twentieth century. Mr J Lee was minister from 1914 to 1921, and Mr G Cummings from 1925 to 1933. The final pastor was C W Pinnell, who led the church from 1939 to 1957. In 1946, two Sunday services and a midweek prayer meeting continued to be held. However, the membership declined further thereafter. Although church records end in 1951, the services carried on into the 1960s. Sadly, the chapel eventually closed soon after. The building was later sold, and converted into a new house in 1992. The chapel facade can be still seen in Hill Street, though it has been refaced. Beyond question, the village of Hilperton has been blessed by God over the last two centuries. We rejoice that God is both sovereign and omnipotent. He is also faithful and unchanging. He is able to work today in the same way as He has in the past. As we commence a new work in Hilperton, we look to God to lead us. Our great desire is for him to be glorified, the truth of Scripture to be declared, and the gospel of Jesus Christ to be proclaimed. We pray that He will again visit Hilperton with saving power, and that He would work again with great measure.